Sichuan Hongmao Pharmaceuticals Co.,Ltd.Hong Mao founded in 2006, is located in the birthplace of the ancient Shu culture world-famous home of Sanxingdui. With convenient traffic and good investment environment. 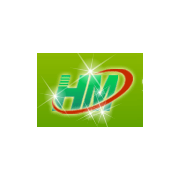 The company is a newly built modern scientific research, development, production and sales of high-tech joint-stock enterprises, mainly engaged in pharmaceutical raw materials extraction, synthesis and production of Chinese Herbal Medicine. Chinese Herbal Medicine in March 2009 has been certified by GMP.